A Life A Time Foundation (Formerly known as OSCCF, Overseas Save Chinese Children Foundation) is officially registered in the U.S. and granted by the Internal Revenue Service (IRS) as a 501 (c) (3) non-profit charitable organization. The mission of A Life A Time Foundation is to provide loving and compassionate help to the orphaned and impoverished children in China, and to show the world that every child, regardless of their race, creed, gender, and religion, deserves to experience love and be treated with dignity and care. 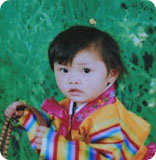 A Life A Time Foundation has been helping orphaned and impoverished children in China suffering from congenital illnesses such as heart disease, hydrocephalus and spinal bifida, as well as severe trauma such as burns since 2008 by covering their medical expenses in part or in full. We also provide a network of available medical providers through our ongoing collaboration with both local and specialized hospitals. Since we only rely on volunteers for daily operations, our administrative cost is less than 2% of the total charitable contributions. The rest of the funds donated to us will be passed onto the children being helped. In order to make our accounting more transparent, we have listed all donations and disbursements on our website. Each year, 100,000 Chinese children are abandoned, most of them being disabled or girls. Meanwhile, China's poverty-ridden rural areas have a child mortality rate 9 times higher than that of China's big cities. When children from impoverished families suffer from severe diseases or accidental injuries, parents simply cannot afford medical treatment and many give up hope. Given the scale of the problem, A Life A Time can only be a small part of the solution. Together, we can create a better future for the next generation.